Meet the best Summer-meets-Autumn dessert. 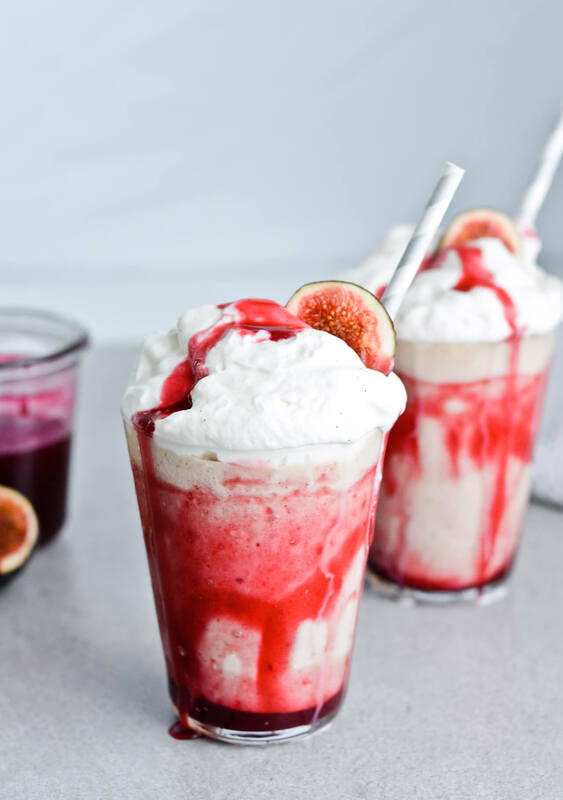 Plum sauce fig shake! Huh, I feel like I haven’t talked to you guys in a long time. Too long! You may have noticed that I started a new project and I hope you like it! It’s a bit personal and fun and if you’re not a GG fan I just hope all of this isn’t annoying you too much. The recipes are still great, I put the same amount of effort in them as I do in the rest, so even if you don’t like Gilmore girls all those posts are still worth your time for the recipes alone. So far I made coffee ice cream affogatos, peach sauce waffles, blueberry shortcakes and the most amazing risotto! Anyway, I will do my best to share my other recipes too, weekly, because I do have a whole list of things I still want to make in 2016. Things like honey biscuits and vanilla cream cakes and lasagna or … the list just goes on and on! And on. Now, who else is loving Autumn? I sure am. The weather has been absolutely amazing. The mornings are chilly, as are the evenings, the days are shorter and the leaves are slowly starting to fall down. But the afternoons are still pretty warm and sunny. I much prefer autumnal 3-4 hours of warmth than the summery 10+ hours of torture. It’s because of this lovely weather that I’m still in the mood for ice cream. Although I admit I am not one to have just one ice cream season. I’m the 24/7 – year round – type of ice-cream person. Quite possibly the worst kind to ever exist. Although to be honest, summer really is the gelato season and I normally get my ice cream fix outside my home. During the other months I mostly buy it at the store. And this is where the plum sauce fig shake comes in. I’ve really wanted to make something with all the plums and figs that keep popping up at the store. 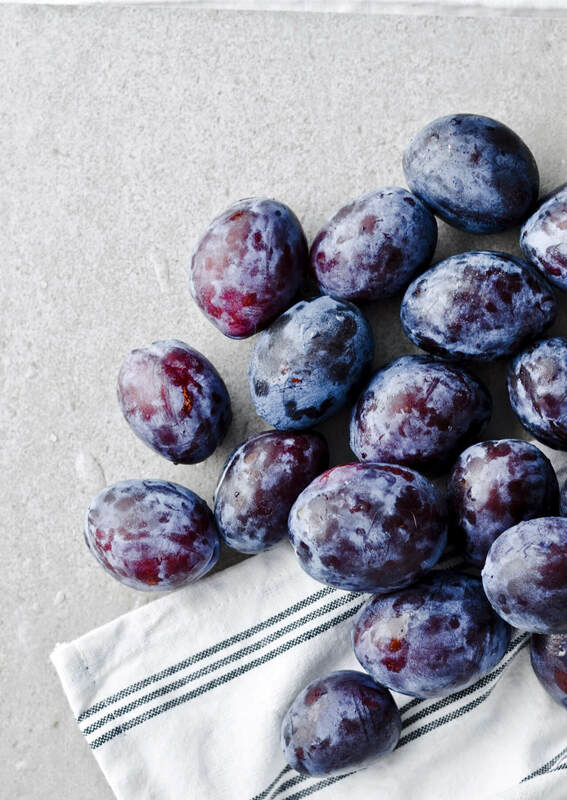 I love cooking with plums because they have the most amazing sweet smell and the color is just addictive. While figs work in a variety of recipes, I really just wanted to mix them with ice cream. 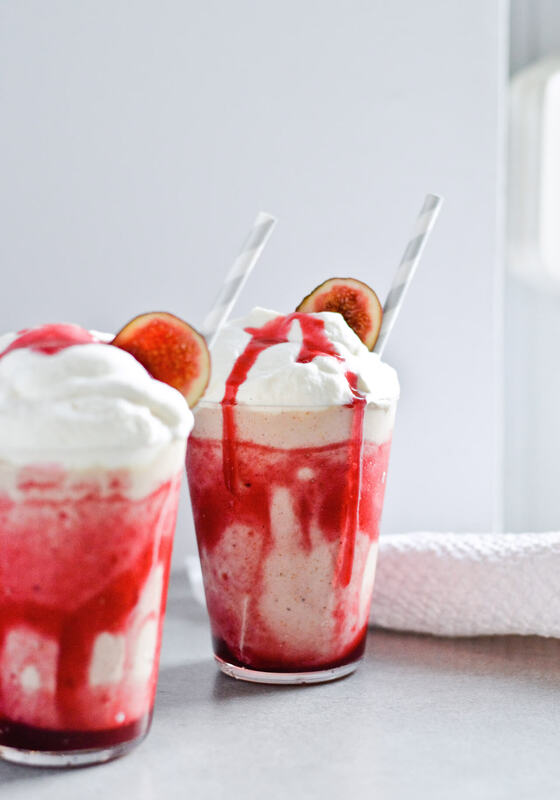 So to honor this in-between seasons season, I made plum sauce fig shakes. 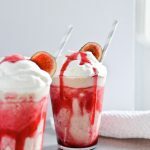 They are super indulgent, served with vanilla whipped cream on top and an abundance of plum sauce. But sometimes food has to be indulgent, right? 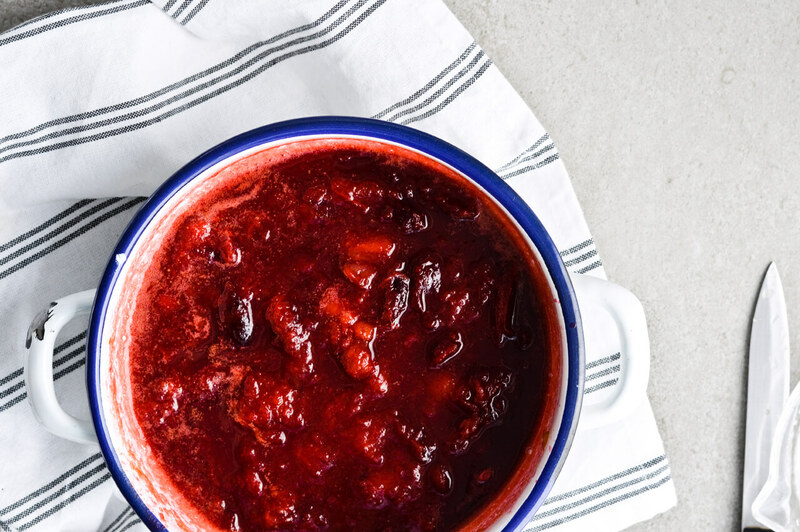 The plum sauce would work on pancakes too or even in yogurt. The overall taste is autumnal, earthy, a bit tangy but sweet. Pretty much awesome. 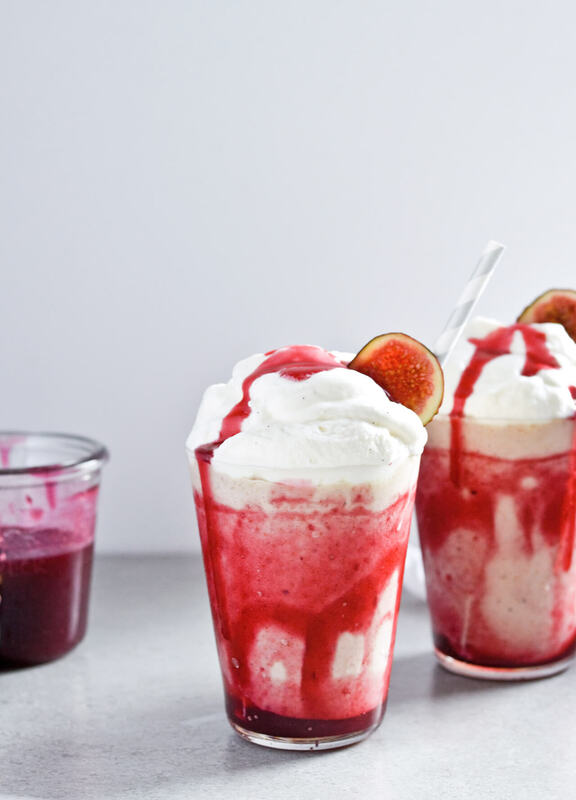 Side note: This was not my intention and I didn’t realize it until I started editing the photos… but these shakes look very Halloween-y, don’t they? I’d say they’re bloody perfect for a Halloween dessert. Where Summer and Autumn meet. 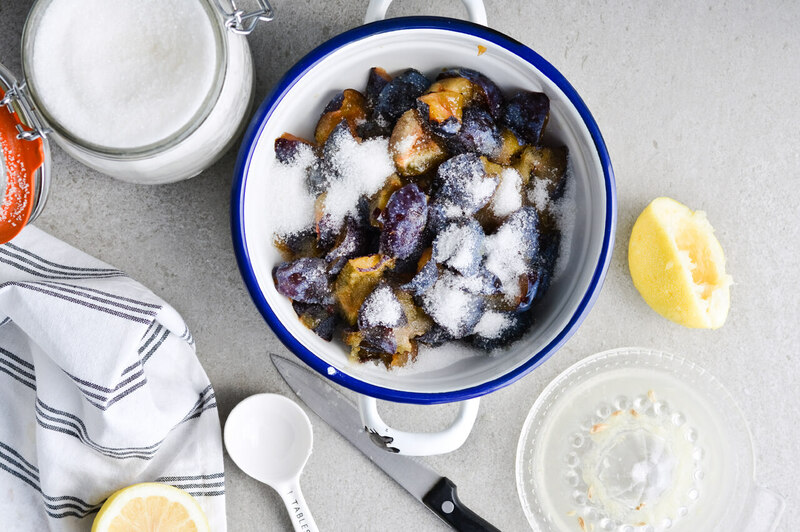 In a non reactive saucepan, combine the plums, lemon juice, 1/2 sugar, cinnamon, vanilla paste and water. Stir and cook over medium-high heat, until the sauce comes to a light boil. Keep simmering for 10-15 minutes until the plums start falling apart and the sauce turn a deep red color. 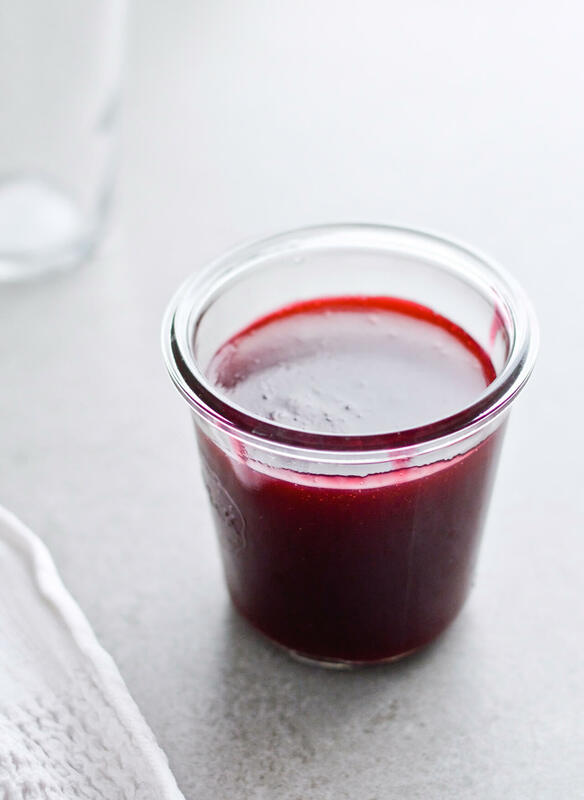 Remove from heat and strain sauce through a fine mesh sieve placed over a large pitcher or bowl. Return strained sauce back to the saucepan and add the other half of sugar (taste the sauce first and leave some sugar out, if you find it sweet enough). Whisk in the cornstarch and cook sauce over medium-high heat for a few minutes, whisking constantly, until the sauce thickens and starts clinging to the whisk. Remove from heat and strain sauce again into a small bowl. Let cool completely. In the bowl of your mixer, combine the cream, powdered sugar and vanilla bean paste. Whisk on low speed until soft peaks form (this only takes a few minutes). 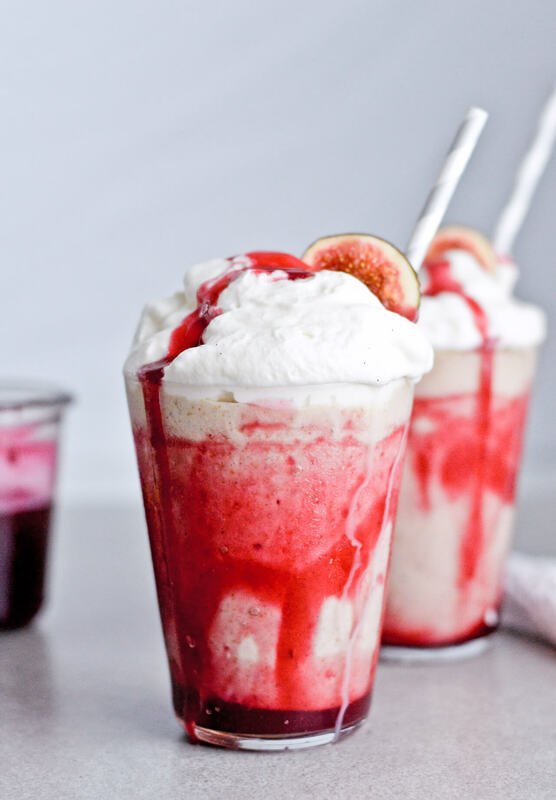 Transfer whipped cream to a bowl, cover and store in the fridge as you make the shakes. 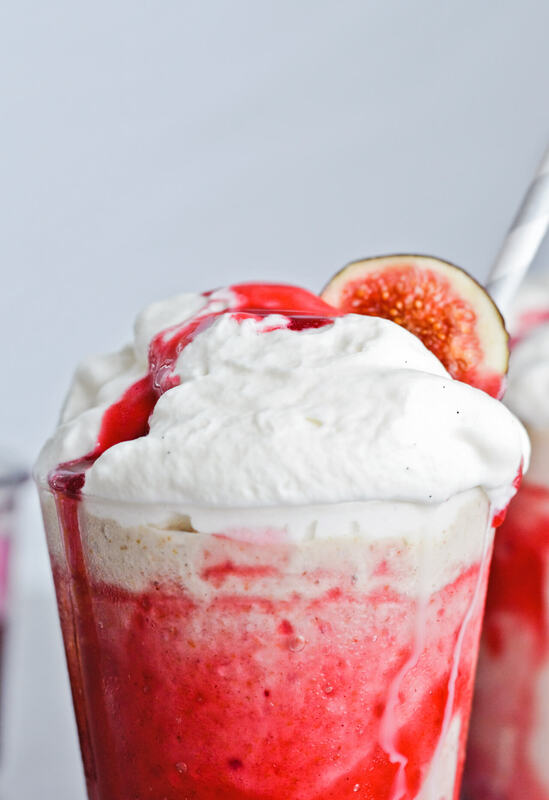 In your blender, combine milk with figs and cinnamon. Blend on high until the mixture is smooth. Add ice cream and keep blending until incorporated and smooth. Take two glasses and spread a few tablespoons of sauce all around the inside of each glass. Add a few more teaspoons to the bottom. Divide milkshake between the glasses. Top with whipped cream and more plum sauce. Decorate with a fig slice, if you want. Add a straw and serve. 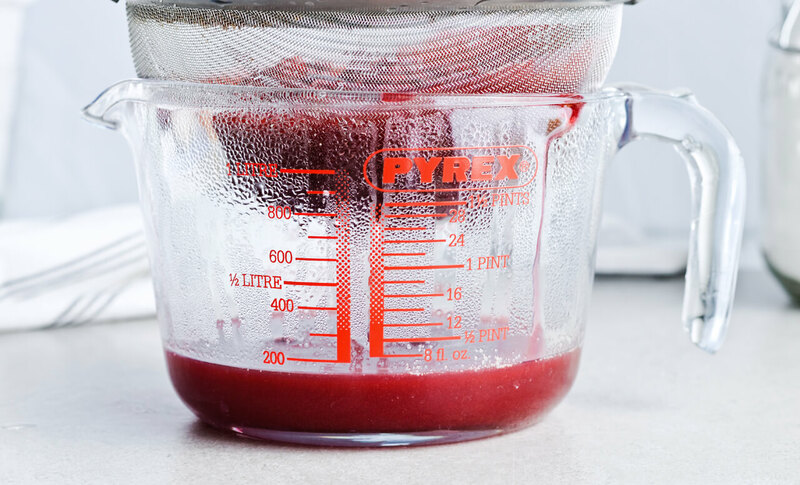 You can discard the leftover plum pulp or you can add that to any crisp you’re baking, to a smoothie, to yogurt, porridge, etc. Even to the milkshake, if you want. Leftover fruit will last a day in the fridge, as long as it’s stored in an airtight container.